Be it breakfast, lunch or dinner, if you’re craving a bite of some scrumptious food, Satgun is the place to be. 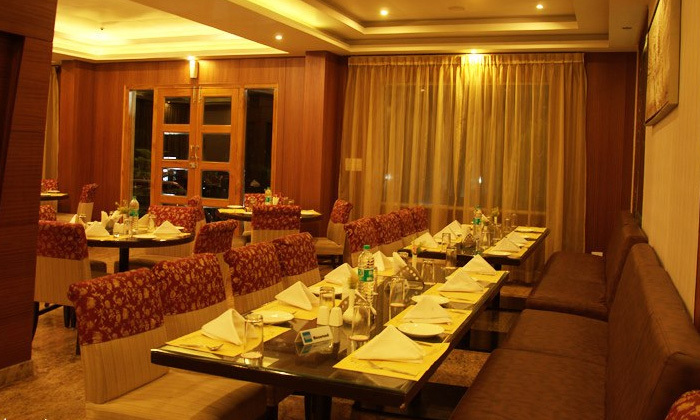 Set within The Sai Leela Hotel, Satgun is an elegant yet relaxed restaurant that offers just the spot to dine in style. Depending on what you’re craving, you can choose from their dishes of North Indian and Chinise cuisines. They offer both buffet and a-la-carte options, ensuring a lavish dining experience for all. The staff is courteous and offer speedy and efficient service. So grab your family and friends and eat your fill at Satgun.